About a week ago, we mentioned Sleepy Jack in a new-game roundup. I recently picked it up and haven't been able to put it back down since! If you can remember bringing your toys to life using the power of childhood imagination (or even if you can't), this game is sure to get your mind going. Sleepy Jack has to be one of the most creative, well-made mobile games I've played to date, and I've played quite a few. This game takes imagination to the next level. Every aspect of Sleepy Jack is well thought out, from the zany dream lands Jack flies through, to the types of toys he encounters along the way. To top it all off, the visuals are spectacular and spot on. SilverTree Media really did an exceptional job with this one - you'll really feel like you're zooming through Jack's dreams. 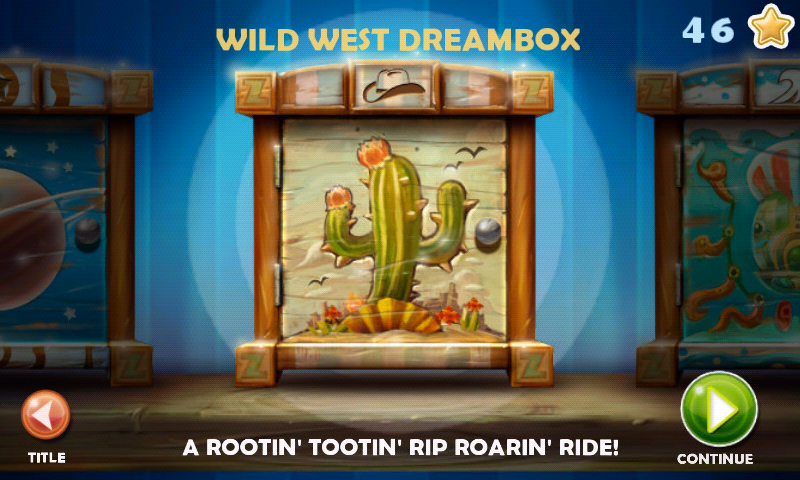 Sleepy Jack has three different dream worlds, each with a unique theme: the Deep Space Dreambox, the Wild West Dreambox, and the Deep Sea Dreambox. Each box contains 10 action-packed levels that really dazzle your senses with fast-paced gameplay and incredible graphics. Your main objective is to collect Zs, fend of enemy toys, and make sure Jack gets a perfect night's sleep. You're scored on finishing the level, amount of Zs collected, and the time it takes to finish. If you master all three, then Jack gets a perfect night's sleep. If not, don't worry, you'll still move on, but will have to come back if you just can't stand the thought of leaving Jack without the proper amount of rest. What's even more awesome is that each dream world has its own enemies and weapons. For example, in the deep sea levels you'll come across squid and other aquatic enemies, and you'll be able to shoot them down with torpedoes and the like. In the wild west levels you'll come across lizard and scorpion baddies, and can defend yourself with rockets and other western themed weapons. 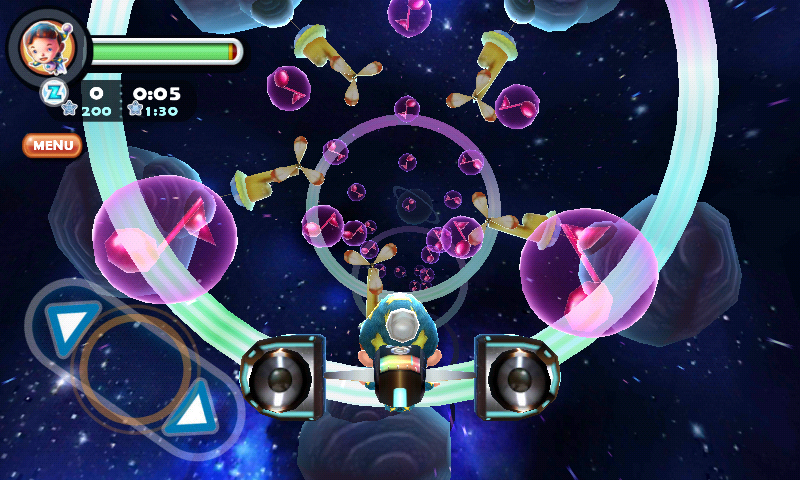 To add a little more variety, there are three different types of levels. In the first, and most common, you'll collect Zs, avoid obstacles, and kill bad guys. In the second, you have a boom box jetpack (yes, you read that correctly) and have to collect music notes to keep your jetpack moving. In addition, you'll still have to collect as many Zs as possible, but won't encounter any enemies. In the third, and most exciting in my opinion, you fly a lot faster and have to collect as many Zs as possible. No baddies in this one, either. In addition to OpenFeint, you have a few more options that add incredible replay value to Sleepy Jack. 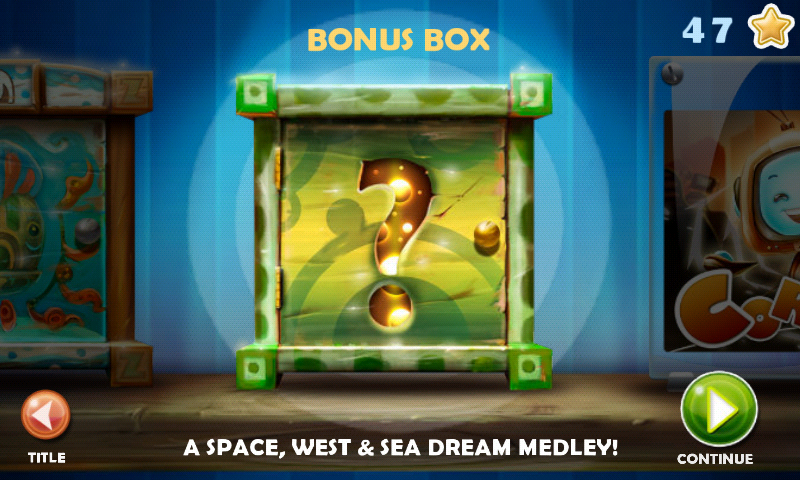 After completing the first three dream worlds, you'll unlock a bonus box that contains a variety of new levels from each world, making a grand total of 40 playable dreamscapes. If that wasn't enough, you'll also unlock a super suit that jack can put on once per level to help catch more Zs and kill more enemies. I won't spoil the fun, but this suit adds a whole lot more awesome to the mix. 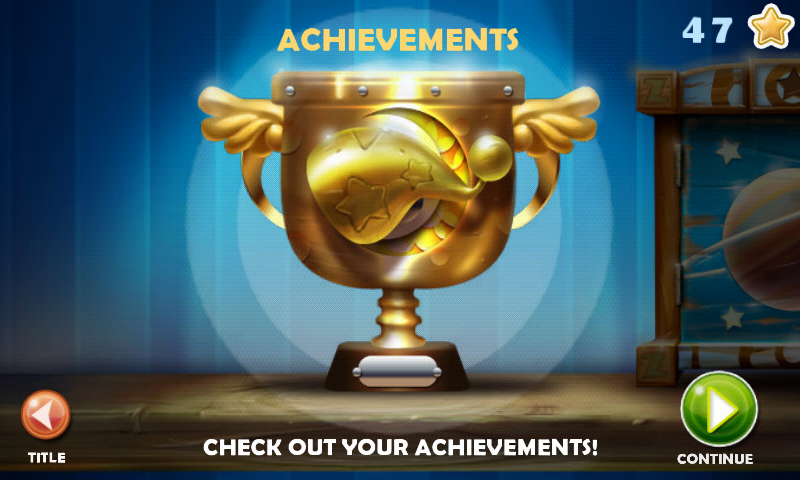 Lastly, there is also a huge list of achievements that you can strive to complete while aiming to get a perfect score on every level. Under normal circumstances, I usually stick to one control scheme when playing a game, and turn my nose up at any others. However, Sleepy Jack offers three different control options, and all three work incredibly. Classic: This one has a small slider where your left thumb would fit, and another button on the right to fire your weapon. Slider: This one has no visible buttons on screen. 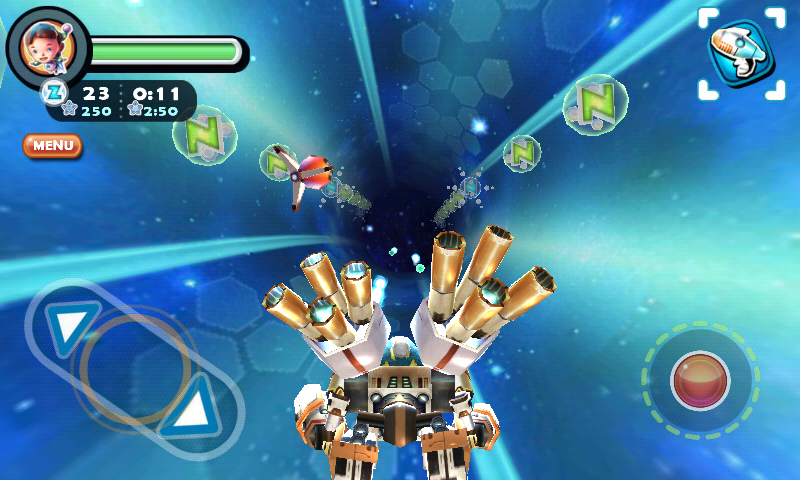 Instead, you just slide your finger along the bottom of the screen to make Jack fly back and forth, and tap to fire. Accelerometer: This one is obvious. 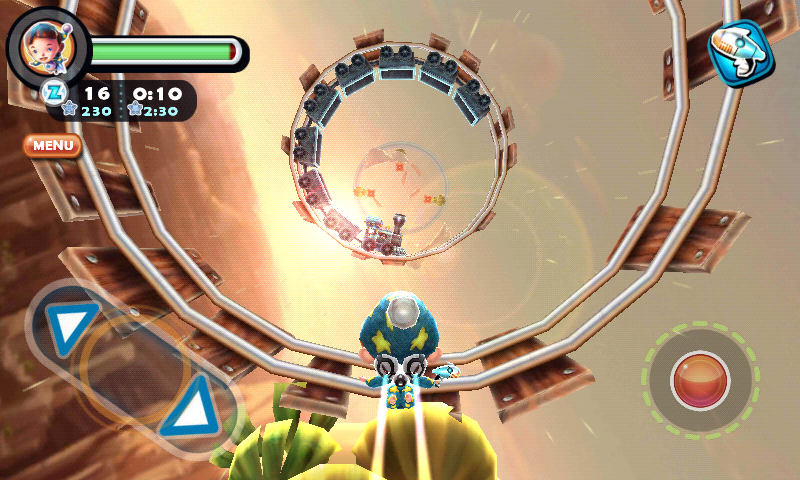 It allows you to use your accelerometer to steer, and you tap to fire. When trying out each different control scheme, I realized that they all work great. Not one is superior, and that's awesome because it adds one more feature that you can master. If you get tired of the current button layout, switch to another and experience the game in a whole new way. On another note, the difficulty levels are also well-planned out. 'Easy' is great for casual gameplay, while 'medium' and 'hard' are good for making levels more interactive. Honestly, you can't really lose in easy mode unless you stop playing all together. However, in the medium and hard modes you need to concentrate to avoid obstacles and enemy fire. 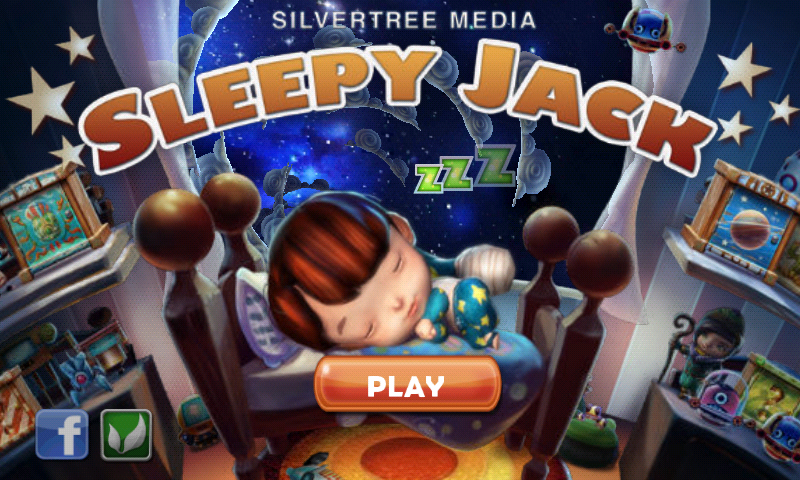 Sleepy Jack stands high above any other game I have played on a mobile device. It's full of creativity and imagination, is exceptionally made, and has a high replay value. Awesome, fast-paced gameplay combined with incredible graphics give Sleepy Jack the look and feel of a high-end arcade game right on your phone or tablet. Follow the link below to try Sleepy Jack for yourself. In my opinion, it's well worth the $1.99 price tag. If you can't take my word for it, try out Sleepy Jack Lite first, then come back here for an "I told you so."